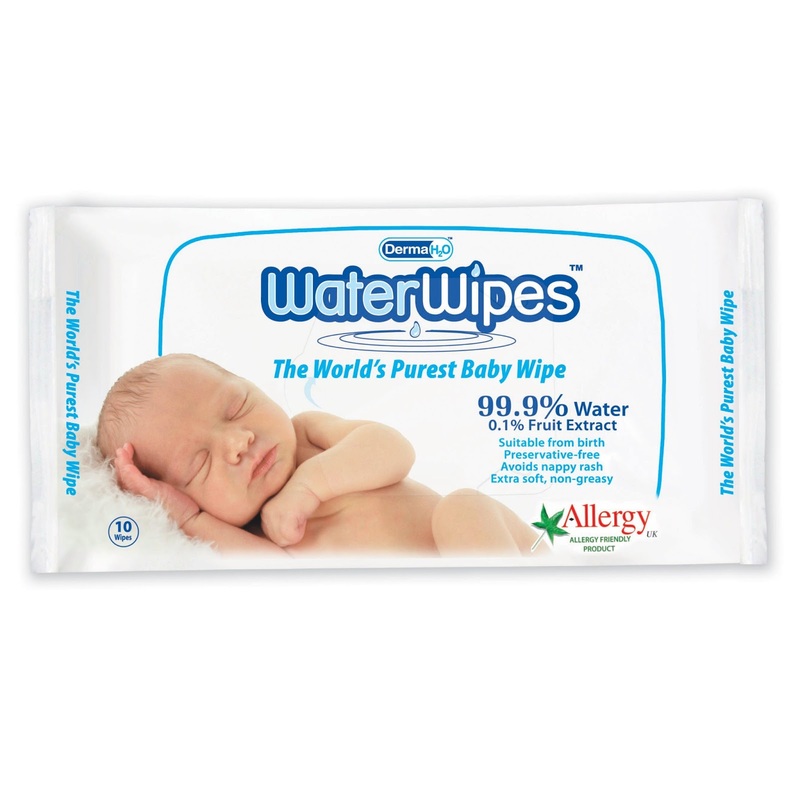 I came across Water wipes at the baby show and really wanted to try them out. However due to time I was unable to stop and chat. I am very wary about using wipes on my girls after a certain brand of wipes, who will remain anonymous, caused all the skin to fall off my hands even though I had purchased the fragrance free and sensitive variety. With my eldest daughter also suffering with eczema it goes without saying that I look for products that are kind to the skin. As a general rule when I am at home I use either cotton wool and water or my cheeky wipes. 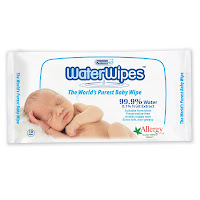 When I am out and about I tend to use more disposable wipes and it is for this purpose I looked at Water wipes. Water wipes contain two ingredients 99.9% purified water and 0.1% fruit extract, no chemicals. They are suitable from Newborn, are non-irritant and are the only baby wipe approved by allergy UK. For me on paper they ticked all the boxes of a wipe I was searching for. When I was sent a packet to try I could not wait. I was really happy with them. I thought the wipes might be cold and wet and dripping with water. Not true at all. The wipes feel lovely and soft and yes they are wet but not dripping and no more so than other wipes. They feel a lot thicker than other branded wipes and as a result I am using less. My daughter is also suffering with nappy rash at the moment due to teething. I will not use wipes with nappy rash as am worried about the irritation to her skin. I thought I would test the non-irritant aspect of the wipes and again was surprised. My daughter was happy, no screaming and it did not make the rash work. This was a great result as it meant I could use the wipes whilst out. My eldest as well has had no reaction to these wipes which enforces the endorsement by allergy UK. Overall I am thrilled with these wipes. They do the job perfectly, are lovely and soft and both girls are happy to use them. I also have the skin on my hands which is a great bonus! I will be certain to purchase these in the future. No more searching for the perfect wipe to use when out and about. I also love these wipes! I was so exited to find them for my now three week old baby but sad i missed them for my first two!